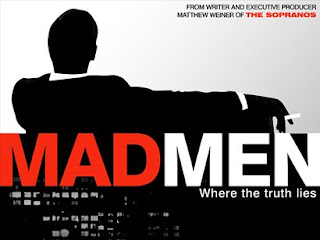 I'm a big fan of Mad Men - a wonderful series set in the New York advertising scene in the early 1960s. There is something utterly fascinating about the world that it portrays: one at the cusp of extraordinary cultural change - a decade that started with men still wearing hats and suits, and ended with men wearing beads and sandals. It also portrays the heyday of mass media and mass markets - the likes of which we will never see again. Imagine a world where all the resources now devoted to advertising were instead devoted to quality improvements in products. Just as we are now learning to live in a world where the cold war is over and we can entertain the distribution of a peace dividend, imagine a time when we could entertain the distribution of ... an advertising dividend. But what would all the ... advertising and copywriters do? ... Let them play. I'm serious. ... At risk of gross over simplification I wan to say that our most vexing problems today are not problems that can be solved by science and technology; they are problems that call for a degree of social invention that we have not seen since the creation of democracy ... We don't yet know how to organize or human interactions. 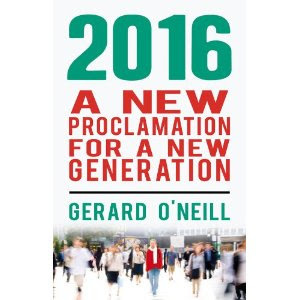 I love his turn of phrase and sense of the future's potential. The essay was written thirteen years ago and I believe a lot of what he foresaw is coming to pass. The emergence of Web 2.0 and social networking has found a way to free up the advertising dividend, to better 'organize our human interactions'. It is wonderful to behold. The current recession will accelerate these trends, and then some. Already concepts like JungleSmash are cutting out the advertising agency planner and copywriter and letting the YouTube generation make their own advertising. And I think there's a lot more of this sort of thing to come as we get to spend the advertising dividend not on mass marketing but on a one-to-one dialogue that we will all (advertisers and consumers) find more meaningful and rewarding. thanks for that interesting and upbeat post with its Ogilvy quote; like the Obama phenomenon this week, the background darkness causes such hopeful reflections to stand out even more dramatically. Ogilvy's 'economics of the sublime' reminds me of some advice my brother was given when sinking a new well in Co. Cork many years ago. 'Why am I getting so little water?' he asked the local water-table expert. 'You just need to use the well more often, as the more you use it, the more water you will be able to draw from the water-table'. My brother was struck by the wonderful contrast with the fossil fuel logic of the economy he had just left behind. And it inspired his artistic activities as well. Perhaps an era of scarcity will re-educate us about the nature of abundance.